One man was so desperate to look like his pet parrot he has undergone tens of operations to make his face unrecognisable. 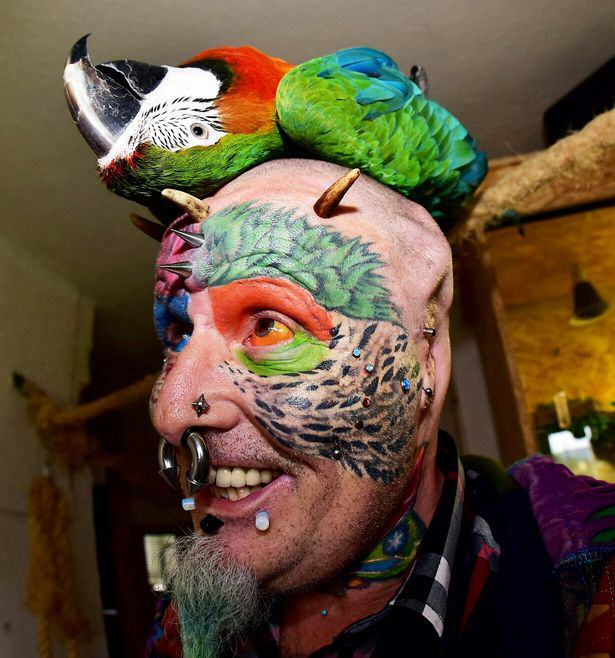 Ted Richards, 56, is so obsessed with his birds, Ellie, Teaka, Timneh, Jake and Bubi, he has gone as far as having his eyeballs tattooed in tribute to them. 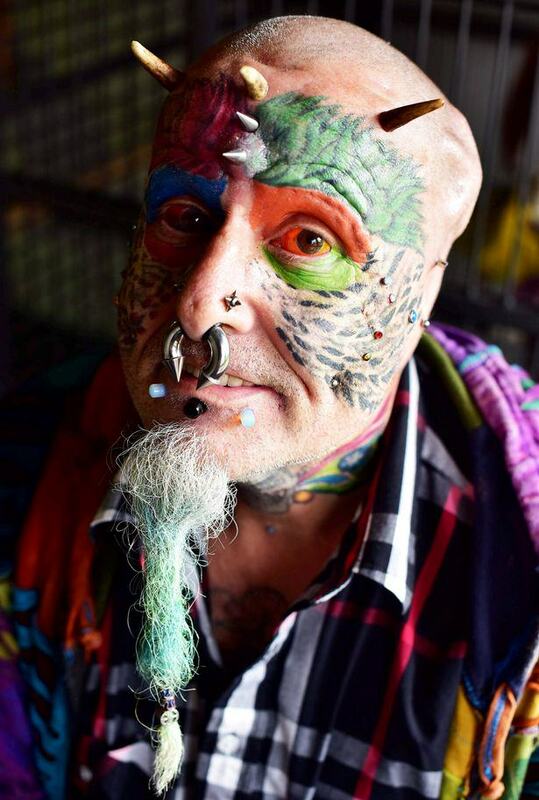 After getting his first tattoo in 1976, he now has ink covering the majority of his body, with 110 tattoos, 50 piercings and a split tongue – and now no ears after his lobes were removed in a six hour operation. I have to admit I did used to get teased at school about my ears because they were big, but that not the reason I’ve had it done. The kids are running up to me and asking to see gory photos – they just love it. They are just so fascinated. I was really surprised – I thought they were more likely to run away. Despite his rather unusual inkings, he has just found himself a 31-year-old girlfriend, and says he is happy with his body – despite no longer speaking to his family and only having two friends. 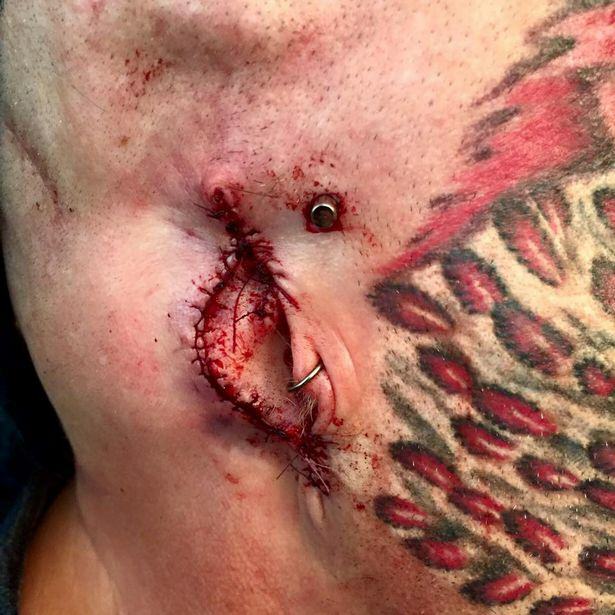 In fact, he said his only issue has been keeping his glasses on after getting two metal pins added to the side of his head. He is now planning on looking into getting his nose modified to look more like a beak.